Ticket. 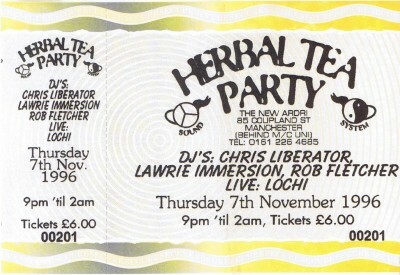 Guest DJs Chris Liberator (Stay up Forever) and Lawrie Immersion (Routemaster), Live Lochi (Chris and Lawrie) brought the sounds of London's free party acid techno scene to Manchester. Resident Rob Fletcher.